What Kind of Care Will You Need? The kind of care that you will need will be highly dependent on the condition of your health as well as you capabilities to perform the Activities of Daily Life (ADL) in the future. Evidently though, none of us know what the years ahead may bring. It is estimated that 70% of 65-year olds will need to be administered long term care. Long term care, typically, is giving assistance to someone who’s having a hard time performing tasks such as bathing, eating or using the toilet due to old age, illness or injury. Social services can provide you an assessment for the types of long term care that can be best suited for you. The plan will be based on what your doctor recommends as well as your health background. On the other hand, if you’re still far from retirement age and your health is still well, checking your family’s health background is advisable too. Through this, you will know if you’re likely to inherit hereditary conditions. That way, you can prepare for its onset and your probable elderly care requirements. Another way is to consider your job and lifestyle now. See how it can affect your health not only at present, but also in the long-term. You may seek the advice of a professional to help you with this. What will take place in the future is unknown to us, but that doesn’t mean that we should not prepare for it. 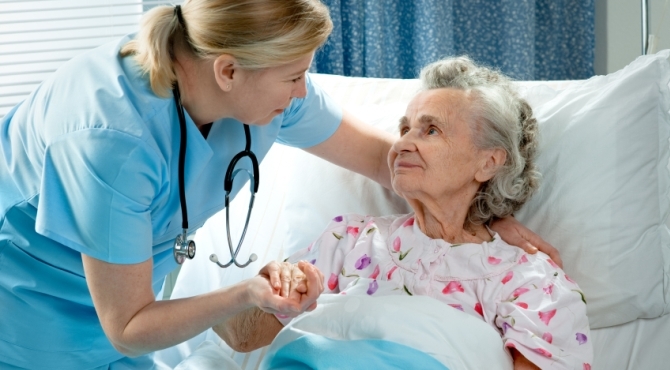 Whether you’ll require home care or stay in a long term care facility is unknown. When it comes to long term care, proper assessment can be beneficial if you want to determine the kind of care you will need. Long term care insurance companies develop and offer products that help customers prepare for the costs of care in the future. 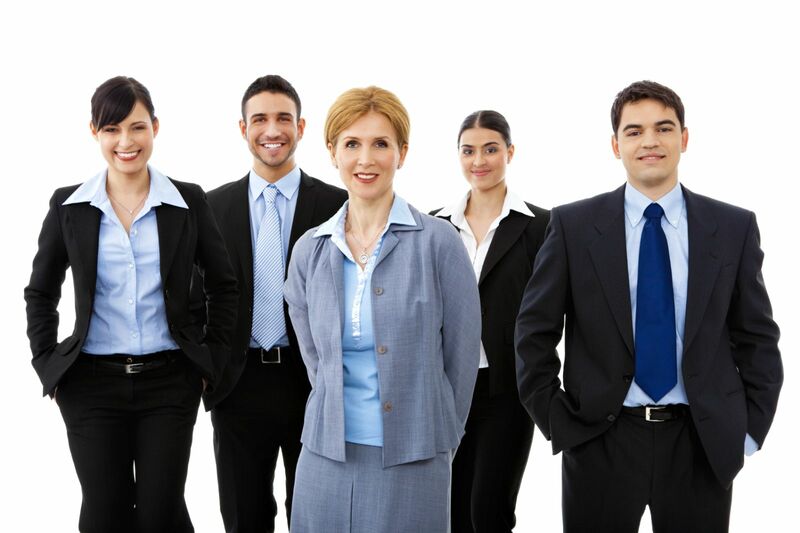 They are also called carriers, especially by professionals and agents. One of the most important choices you’ll make when you purchase an LTCi policy is from which carrier you will buy it from, as this choice will dictate your policy’s strength, flexibility and affordability. To help consumers in making this important choice, several institutions continually grant long term care insurance company ratings to the carriers. These ratings show how financially sound the carriers are in meeting the claims of policyholders, as well as how stable and dedicated they are in providing products and services to the market. Carrier reviews are conducted by three major insurance rating companies: A.M. Best Company, Standard and Poor’s and Moody’s Investor Service. 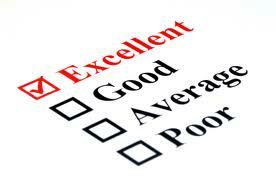 It’s recommended to look up the ratings of the insurance companies you are considering to purchase a policy from. Visit www.ambest.com for more information. Visit www.standardandpoors.com for more information. Moody’s also reviews the financial stability of investment institutions, not just insurance companies. Their rating system varies slightly with an additional modifier or 1,2 and 3, which designate how high a company is in its rating category. Visit www.moodys.com for more information. By knowing how well rated your prospective insurance companies are, you will be able to make a sound decision on how reliable and secure your LTCi policy will be. Who Provides Long Term Care? Primarily, family and loved ones are the main long term care providers. In fact, 86% of informal or unpaid caregivers are relatives. 36% administer long term care services for one of their parents while 14% are said to be taking care of a child with disability. If you require long term care, your first instinct would be to turn to your loved ones. Normally, you would expect them to give you care and most likely, they will. However, relying solely on your family for care may have adverse effects, especially on their income. Caregiving can get in the way of their jobs or career and this can result to financial problems. Read the full article here: http://www.ltcoptions.com/learn-the-basics/who-provides-long-term-care/. How much does long term care insurance costs? Is it the best option to pay for long term care? Are there ways to save on insurance premiums? These are just some of the questions that people ask nowadays before they purchase ltci. Most who consider long term care insurance policies typically ask these questions. Typically, LTCi costs can be anywhere from $1,000 to $7,000 a year. However, long term care insurance rates vary a lot from one policy to another, since each product was uniquely tailored for the needs and wishes of its owner. Though this annual premium can be tough to afford for the average family, it is much more affordable compared to trying to pay for the costs of care out of pocket. It may seem to be a bit steep but paying premiums in exchange for long term care coverage is whithout a doubt a more financially secured choice that you should take. LTC insurance is important for a number of reasons. But what motivates most people to buy this policy is the fact that they don’t want to be a burden to their families. However, most people still don’t purchase this policy because of financial reasons. If you have a spouse or a domestic partner, this insurance policy is even more imperative to have for you. And the good news is couples can find this policy more affordable, thanks to the shared care rider. What is a Shared Care Rider? A shared care rider is an additional feature that couples can add in their individual long term care insurance policies. This is optional, but it is highly recommended as it can help them save money in terms of long term care coverage. When you have a shared care benefit, you are added as a rider to your spouse’s policy. Meaning, you can use your partner’s long term care coverage and vice versa. In case you used up all of your benefits, you can tap into your partner’s coverage instead of signing up for a new policy—which is definitely more expensive. Add the fact that qualifying for a policy may not be as easy as before because first, you got older and second, you might have already developed medical conditions. A shared care rider pools all your benefits together. Say, each of you has a long term care insurance plan that has a daily benefit of $200 and benefit duration of 5 years. That gives you 10 years worth of benefits—around $700,000—to work with. If you already used up all of your benefits, you can use your partner’s coverage so that your care expenses will be paid continually without having to sign up for another policy. Savings are the main advantage of having a shared care rider. That’s why couples should take advantage of it. This rider allows both partners to access coverage amounting to twice of what’s actually written in their policy. With the example above, we can see that if a couple purchases a shared care rider, they only pay for a 5-year policy yet they have access to 10 years worth of benefits. A shared care rider usually adds 12% to 18% on top of the policy’s cost, but this extra amount is still cheaper as opposed to buying two individual policies that will last for 10 years each. In addition, the validity of the shared care rider will not expire even if one spouse dies. The surviving spouse can still use what remains of the other’s benefits. In some instances, insurers may charge a percentage of the deceased spouse’s premium so that the surviving partner can utilize the remaining benefits. Major life changes such as getting married or being in a committed relationship call for adjustments in how you manage and secure your finances. This is usually the time when the need for long term care insurance is greater. And it’s good to know that couples can have an extensive coverage even if they’re living on a budget. The Garden State is soon to have its own health insurance Marketplace known as Exchange this coming Oct.1 2013 and it lets locals shop and buy insurance by phone, in person, or online. This will help promote health care in New Jersey and soon the number of uninsured locals will drop despite having high rates for care. Based on Genworth Financial’s 2012 Cost of Care study, New Jersey has ranked as the state with the most expensive rates for assisted living facilities with its locals paying roughly $6,000 a month or $70,000 yearly. New Jersey also ranks fourth as the state with the most expensive nursing facilities in the country. On the other hand, New Jersey has been considered as one of the few states with the lowest expenses for home health services given by a Medicare-certified home aide. As a matter of fact, hourly rates in southern New Jersey have had a decrease of 6% yearly for the last five years. To understand why an insurance policy is the best answer to long term care expenses, it’s important to realize the actual costs of care. The table below lists the average annual costs of care in the major areas in New Jersey. This information was taken from Genworth Financial’s 2010 Cost of Care survey. The federal Deficit Reduction Act of 2005 has applied changes to the federal Medicaid program and prohibited other states to establish long term care partnership programs after the approval of a state plan amendment forwarded to the Centers for Medicare and Medicaid Services or CMS. 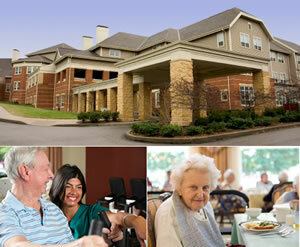 The partnership is called New Jersey Long-Term Care Insurance Partnership Program or simply “Partnership Program”. It was authorized by CMS on February 12, 2008 with effective date of July 1, 2008. The program is administered by the New Jersey Department of Human Services with the New Jersey Department of Banking and Insurance. A partnership between the state government and private insurance companies to able to address long term care needs of the local residents of New Jersey. By buying qualified policies from insurance companies participating in the Program, policyholders had been allowed to keep their assets aside from what is normally allowed during determination of Medicaid eligibility. This asset disregard benefit allows the policyholder to protect assets equivalent to the insurance benefit amount paid by the Partnership policy. These assets are also protected from Medicaid estate recoveries if the policyholder passes. A statement certifying that the policy meets the definitions of a “qualified Long Term Care insurance” policy as outlined in section 7702B(b) of the Internal Revenue Code. The statement must be made by an officer of the insurance company. A statement certifying that reports will be made regularly to the Secretary of Health and Human Services. The statement must again be made by an officer of the insurance company and must include a notification when benefits are paid, and the payment amount; a notification as to when the policy terminates; and other information that may be required by the Secretary of Health and Human Services. A statement that the policy includes inflation protection. This feature provides protection against inflation. Policies are required to include compound inflation protection for individuals below age 61 whereas some type of inflation protection must be included in policies issued to individuals aged 61-75. Inflation protection is not required for individuals aged 76 and above. A statement certifying that the partnership policy will be marketed only by approved agents who underwent Partnership training. A list of agents approved to offer and market Partnership policies for the company. Proposed amendments to New Jersey’s Long Term Care Insurance Rules outlined in N.J.A.C. 11:4-34 are getting drafted to facilitate implementation of the Partnership Program in New Jersey. Among the proposals is Partnership Disclosure, such that Partnership policies must be accompanied by a Notice of Long Term Care Partnership Status (Appendix 2). This declares that the policy is a Partnership Policy, and outlines the benefits under the policy. Find out how much a long term care insurance policy costs in New Jersey by filling up our free online assessment form. Compare costs from the top insurance carriers in the country and get information to help you prepare for your future long term care. The government and different care providers are continually striving to improve the quality of long term care in the country. They are constantly pushing for a more person-centered approach in administering care services and seamless coordination between different settings and providers. New report from the Measures Application Partnership (MAP) further stresses this. MAP is a public-private partnership assembled by the National Quality Forum that is aimed to provide input to the Department of Health and Human Services (HHS) and give advice to the federal government prior to selecting measures and making rules. In December of last year, HHS gave MAP a list of 234 measures that are being considered for use in 20 federal programs. They were able to release a report containing their recommendations earlier this year. These are derived by evaluating comments from different participants. The report includes performance measurement programs for clinicians, hospitals, post-acute care and long term care. For post-acute care and long term care, MAP stresses key concerns in selecting measures for these two areas. They stress the importance of measure alignment, care coordination and collective accountability throughout all settings. In selecting measures, they suggest that it should uphold a person-centered approach across the healthcare continuum. MAP identified six aspects that have the greatest weight in performance measures. These arewhat they call the highest-leverage areas. These important points for evaluation are function, goal attainment, patient engagement, safety, cost and access. Function has to do with proper assessment of a person’s functional capability, cognitive status and mental health. Meanwhile, goal attainment involves advanced care planning and treatment. Setting goals for patients, families and caregivers is also a part of this. Patient engagement pertains to the care experience, transition planning and making decision-making a collaborative effort between all parties involved. Safety, meanwhile, deals with issues such as falling and pressure ulcers. 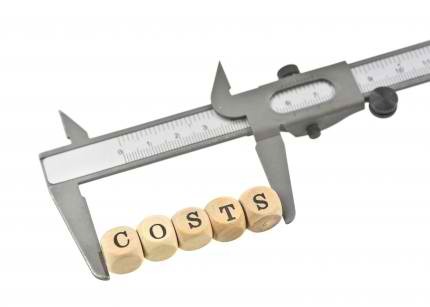 Cost and access focuses on misusage of medicine and infection rates. Person-centered care is geared towards uplifting the overall wellness of an individual and goes beyond their medical requirements. This approach is geared towards promoting a person’s dignity and other needs that are also integral in maintaining their quality of life. The key to effectively implementing this approach is care coordination. Proper care coordination involves all parties that has a role in providing the health care and long term care needs of an individual—from physicians, specialists, therapists, social workers and care providers. How they exchange and pass on information is crucial and can make or break the quality of care that the person receives. That’s why; it’s important for all of them to establish good communication and to constantly strive to work as a team.